This is an easy cell phone cover using a textured pattern that can easily be crocheted in about an hour. The pattern suggests using 100% cotton thread such as Lily Sugar and Cream cotton . If you are experienced you can easily make this to fit any size or style cell phone. 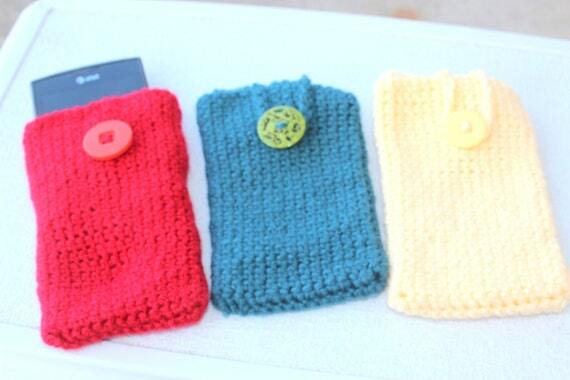 Best of all these make great gifts to crochet in your favorite colors for friends and family. Plus you can make a tablet cover too!